Southern fried cabbage with onions is one my of favorite cabbage recipes.As a matter of fact, it was one of my favorite vegetables. I can remember the first time I had a plate full of yummy freshly cooked vegetables at my aunt Inez’s house in the heart of Arkansas on what they fondly call “The Hill”. Her husband (my uncle Aceil) always had a big garden and we visited there as a child at least a couple of times per year. He grew a variety of vegetables, including many of my favorites purple hull peas, squash, tomatoes, cucumbers and turnip greens. All of these yummy things would be cooked up and supper would be a wonderful selection of yummy vegetables with a bit of meat and some kind of yummy bread. Oh, how I looked forward to my “plate of vegetables.”I believe that have a “plate of vegetables” is a Southern Thing. A typical plate of vegetables has greens, beans, sliced vine-ripened tomatoes, a sprig of fresh raw scallion, and a hunk of freshly baked cornbread. Just typing this out has made me so darn hungry! One of my absolute favorite additions to a “plate of vegetables” is Southern Fried Cabbage. It is a simple recipe that is almost no-fail and healthy to boot, because cabbage is just ridiculously low in calories, full of vitamins, easy to find year round, and pretty darn economical per pound. Southern Fried Cabbage with Onions is Good Eating! I cook up a big skillet of fried cabbage for dinner every other week. 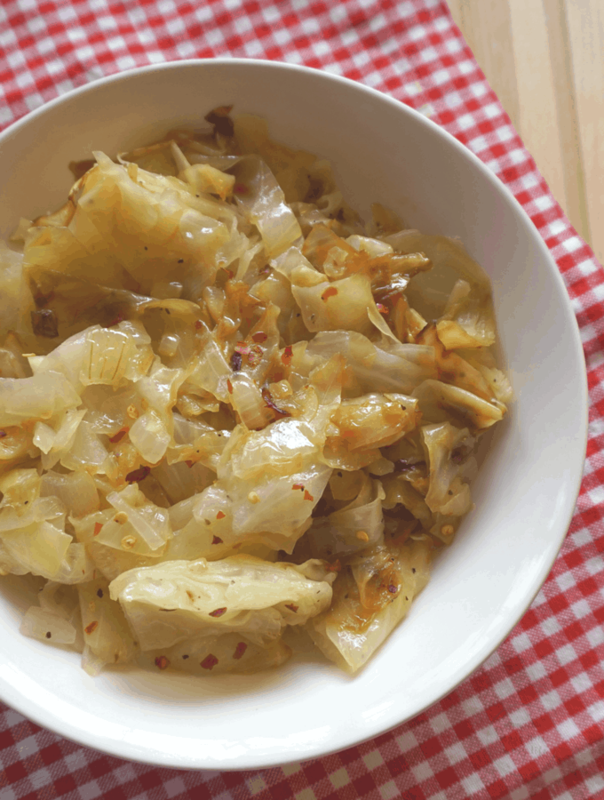 Fried cabbage makes great leftovers! 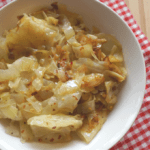 I love it and find that the zest of red pepper and the savory sweetness of the cabbage and onions satisfies my hunger and is a perfect meatless dish with a 1/2 cup of beans. Truly yummy! I am sharing my Southern Fried Cabbage Recipe here today. I know we all have our own variations, so here is mine. 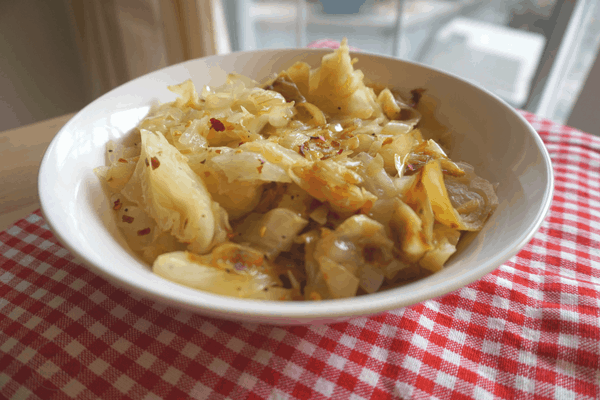 Southern fried cabbage with onions is a favorite cabbage recipe and is the perfect side dish for chops and beans. Add some crisp bacon for even more flavor! In a large skillet or pot warm olive oil and butter on medium heat. Add onion and garlic – sauté until they become soft and slightly lucid. Now add half of the cabbage, salt, pepper, and red pepper flakes, and stir. Add remaining cabbage stir, cover, reduce heat to low and simmer for 20 to 25 minutes. Cook until tender but not so much that it becomes easily mashed. The fork should penetrate large cabbage veins easy. I like to caramelize the dish a bit by cooking with a lid for half the cooking time then stick around and watch and stir a couple of times until the edges of the cabbage turn a little brown. The flavor will be sweet and savory. Add crisp fried bacon after carmelizing the onions for even more flavor. Ok, this is crazy. 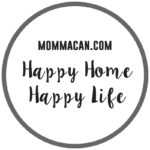 I am catching up on my blog reading after my daughters’ visits. But before I started, I pinned a few cabbage and smoked sausage recipes for dinner tonight. First blog I visited after hitting up Pinterest featured a recipe for smoked sausage and beer mac and cheese. Pinned. Now I am here and find this mouthwatering recipe for cabbage. Dinner is all but served!!! Pinning and preparing tonight. 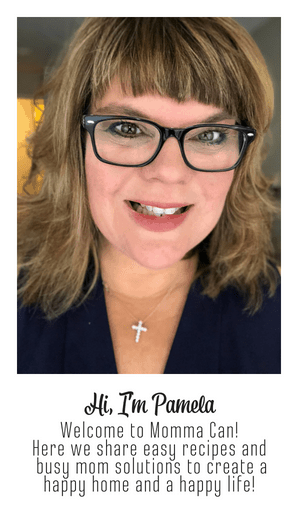 We love this recipe thank you! My mother always made fried cabbage with bacon/bacon grease, loved it. All of my family put in a garden so we had all the fresh veggies we could consume and can. I remember the yr my mother made saurkraut in a big croak, what a smell when she took the lid off. lol But I like you use olive oil and butter but have never thought to add garlic or red pepper flakes, I usually add one or both to everything. Thanks for the idea and the memories.